Plastic formwork companies are mainly concentrated in Europe, South Korea and Japan, North America. The number of enterprises is small, but the production scale is large, the production technology is advanced, and the variety of plastic formwork products is more diversified. Plastic formwork mainly include steel frame plastic formwork, engineering plastic large formwork, GMT building formwork, hollow plastic formwork, foam insulation plastic formwork, plastic ,modular formwork, etc., which can be widely used in walls, floors, columns, etc. In addition, there are also shaped plastic formwork processed into various shapes and surface patterns. The products are rich in finishes and various shapes. The formed concrete has a unique shape and surface texture. 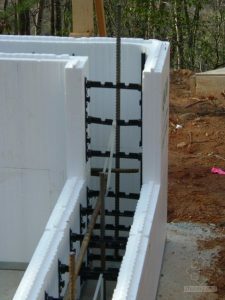 In order to enhance the strength and rigidity of the plastic forms, increase the turnover of plastic formwork, and improve the quality of the forms, there are usually the following ways: 1) adding reinforcing fibers during the preparation of the plastic formwork; 2) coating the surface of the plastic formwork with the reinforcing layer or making the laminated plastic formwork; 3) adding the rib to the plastic formwork or making the hollow ribbed plastic formwork. 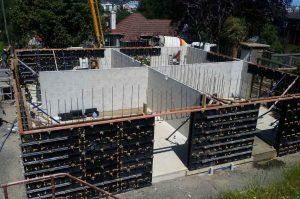 1.1 The combined plastic modular formwork is a large-scale products which is assembled by the small formwork panels in cooperation with the assembly. The formwork can be flexibly assembled according to the specific construction requirements and has a wide range of applications. It has been widely used in Europe. 1.2 Steel frame plastic formwork was born in Germany. It is made of steel frame or aluminum alloy hollow profile panel frame with plastic panels. Compared with plastic large formwork, the weight only increases the frame quality, the rigidity is larger, and can withstand up to 65 kN/m2. The formwork uses electrostatic powder coating to reduce the adhesion of the concrete on the formwork, provide a flatter concrete surface, and the formwork is easy to clean, and can be widely used in floor and wall board construction. Steel frame plastic formwork is more expensive than ordinary plastic formwork due to the increase of frame cost. At present, it is mainly based on rent. 1.3 Insulation plastic formwork originated in North America, using flame-retarded molded polystyrene foam, with a combination of angle steel, pull-tab parts and other disposable wall formworks. 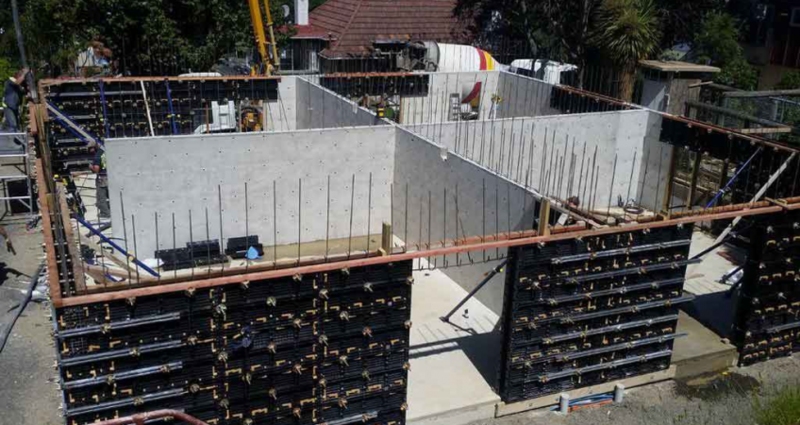 The thickness of the formwork is equivalent to that of a general wall, usually 50 mm to 100 mm, and the concrete can be formed into an integrated thermal insulation wall after pouring. The wall has the characteristics of heat preservation, sound insulation, fire prevention and moisture resistance. It is a good energy-saving and environmentally friendly product, and can be widely applied to building walls such as houses, hospitals and hotels. The GMT (Glass Mat reinforced Thermoplastics) formwork has been widely used in engineering construction in Korea and Japan. It is made by combining thermoplastic polypropylene fibers with glass mats and with certain recipients. 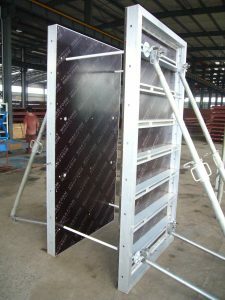 It is divided into two types: GMT flat plate and GMT ribbed formwork. The thickness of the panels is usually 10~15mm. The strength is better than pure plastic formwork, wood-plastic board, PVC board, PP plastic board, etc. It can be rotated 40~60 times under normal use. After adding the border, the number of uses can reach more than 100 times, and the cost per turnaround is 1/2 of the wood bamboo plywood formwork.